Nearly 56 million American adults have osteoporosis or low bone density. Each year, osteoporosis causes two million broken bones in the U.S. alone. These fractures result in more than half a million hospitalizations, more than 800,000 ER visits, more than 2.6 million trips to the doctor, and the placement of nearly 200,000 individuals into nursing homes. This serious disease threatens 1 out of 2 women over the age of 50, and complications of hip fracture cause more deaths among women each year than breast cancer. And by 2025, osteoporosis is predicted to be responsible for approximately three million fractures and $25.3 billion in costs each year. Get to know risk factors: Many factors play a role in your risk for osteoporosis, including age, gender, lifestyle, medical history, family history and whether you take any medication or have medical conditions that can lead to bone loss. Get active: Doing regular weight-bearing and muscle-strengthening exercise is one of the best ways to protect against osteoporosis and broken bones. Get healthy: Calcium, vitamin D, lean protein, fruits, vegetables, and healthy fats are the key to eating for healthy bones. 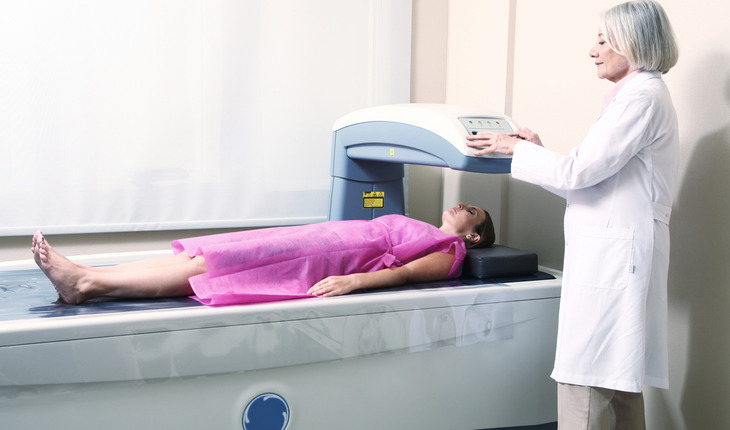 Get checked: The painless, 15-minute test – a bone density scan – will help predict your risk of breaking a bone, and statistics show that women who have bone density scans have 35% fewer hip fractures than those who do not. Get clean: To maintain good bone health, don’t smoke or have more than two drinks a day. Andrea Singer, MD, FACP, CCD, is associate professor and chief, Division of Women’s Primary Care and director of bone densitometry, in the Department of Obstetrics and Gynecology at MedStar Georgetown University Hospital. The National Osteoporosis Foundation is leading health organization and non-profit dedicated to preventing osteoporosis and broken bones through programs of public and clinician awareness, education, advocacy and research. For more information, click here.